One of the most charming things I love about little English villages is that you can sometimes find the main street is just called ‘Street’ hearkening back to a time when it was THE street. I’ve also found that every village (no matter how small) in England has at least one local pub. Village pubs are part of the local fabric of life and sometimes you can feel that the food and decor are likewise stuck in a time warp. Many pubs though are changing with the times to accommodate modern trends while still staying true to their function as a local centre of social life. 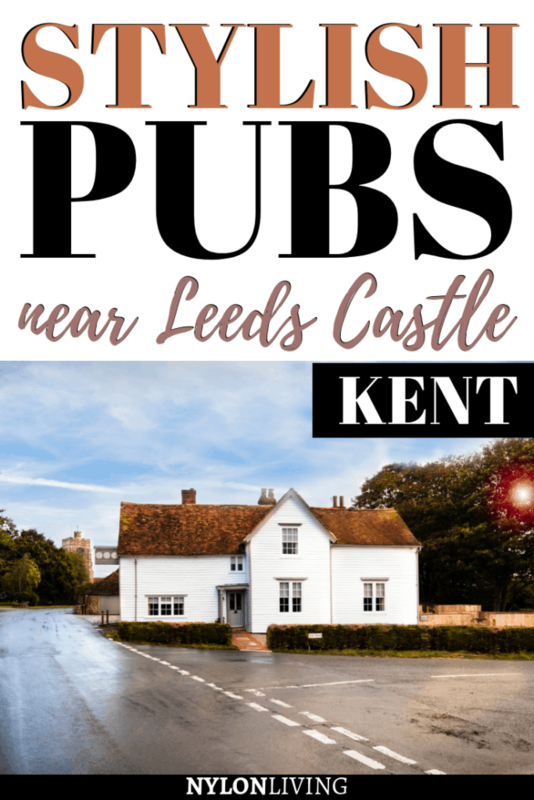 One such pub is the Barrow House near Leeds Castle Kent. In fact, after its recent renovation I’d venture to say it is one of the most stylish pubs near Leeds Castle Kent. The Barrow House in Egerton has just been thoroughly renovated and changed its name from The George Inn. You are in the beautiful county of Kent, known as the Garden of England. About 11 miles away from The Barrow House you will find Sissinghurst House which is renowned for its beautiful gardens. Other gardens nearby include those at Godinton House in Ashford and Doddington Place in Sittingbourne. Leeds Castle Kent is one of the most historic castles in England starting life as Norman stronghold. During the Middle Ages, the castle was the home of 6 Queens of England. Thanks to English Heritage, Leeds Castle is one of the best preserved castles still in existence. The grounds are likewise beautifully landscaped with a maze and gardens. Need more castles? About 12 miles away, you can take a steam locomotive on the Kent & Sussex Railway to Bodiam Castle, a National Trust property from the 14th century. 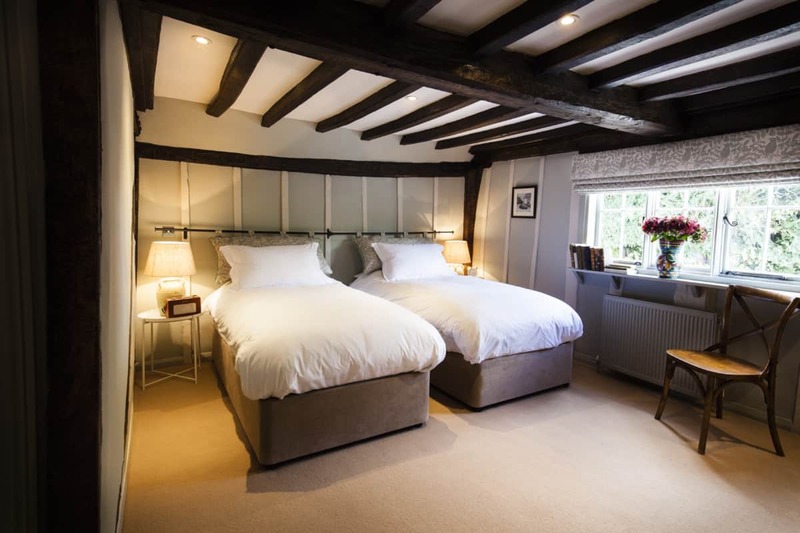 The Barrow House is a village pub with rooms dating back to the 16th century near beautiful Leeds Castle. During World War II, it was a favourite local pub for American and Canadian soldiers stationed nearby. Post-renovation, it’s probably the most stylish of the village pubs near Leeds Castle. 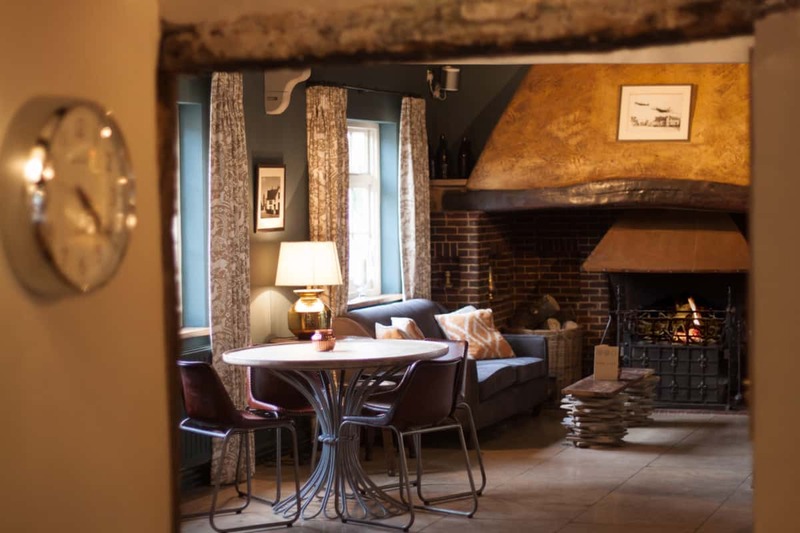 The Barrow House is a 16th century pub which has recently had a full renovation. 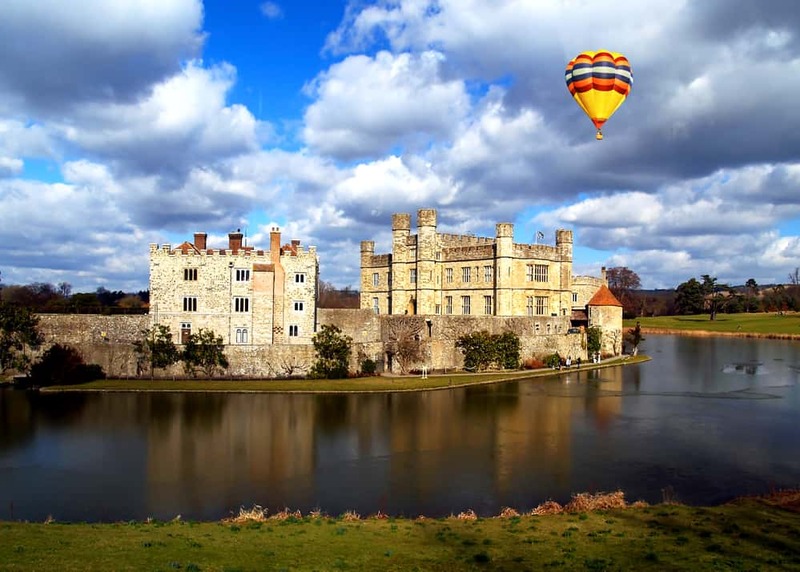 There are many restaurants near Leeds Castle including the restaurant at the castle itself. 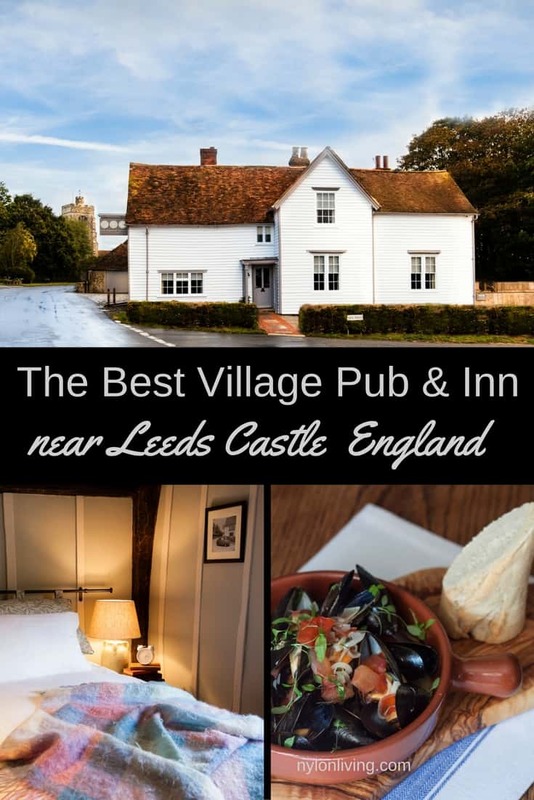 TripAdvisor, however, rates The George Inn (The Barrow House’s former name) as number one for restaurants near Leeds Castle. 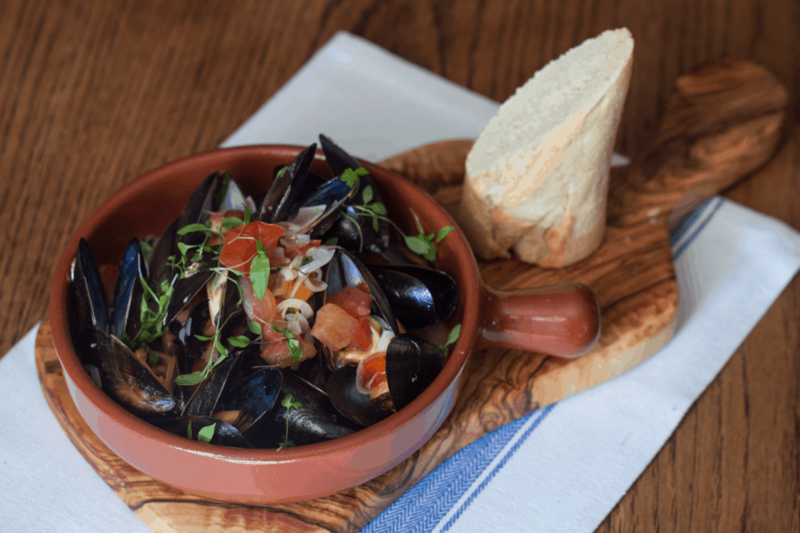 Check out the TripAdvisor list of restaurants and the excellent reviews of The Barrow House (formerly known as The George) for yourself. This fact isn’t surprising because everything at The Barrow House is made from scratch in their own kitchen from locally sourced food. Children are made to feel welcome with a special children’s menu. 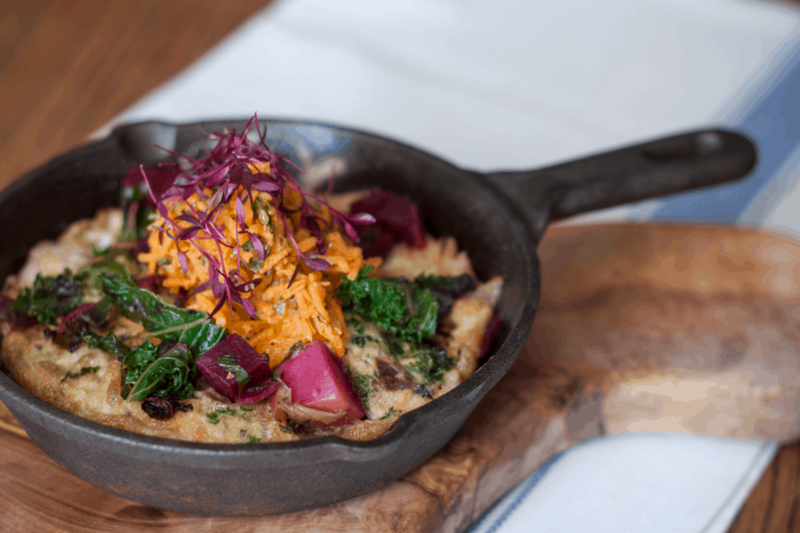 A healthy vegetarian option of beetroot and kale frittata at The Barrow Inn. In addition to the good food, I also appreciate is the stylish presentation and stylish ambience of the pub. 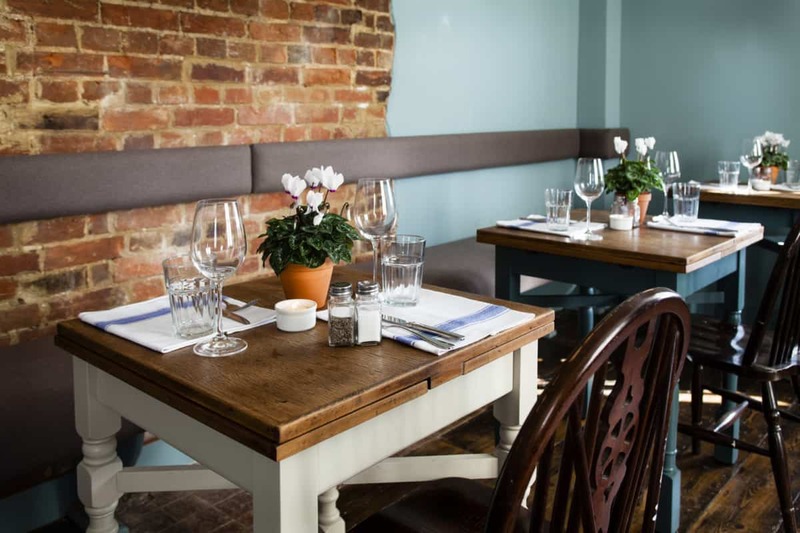 Dining should be feast for all the senses – taste, smell, sight – even in a humble village pub. The Barrow House dining room – lots of warm wood, and exposed brick walls. Comfortable seating and a roaring fire in the bar area. 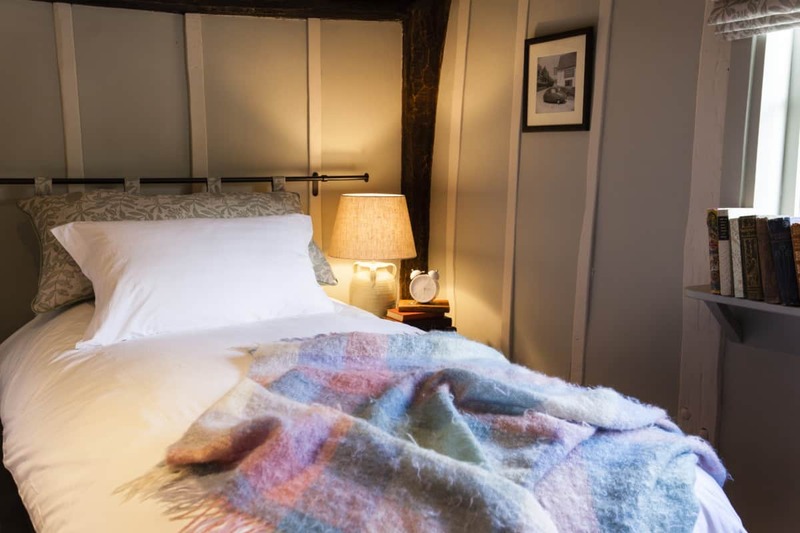 You can also stay overnight at The Barrow House if you would like to explore Kent further. 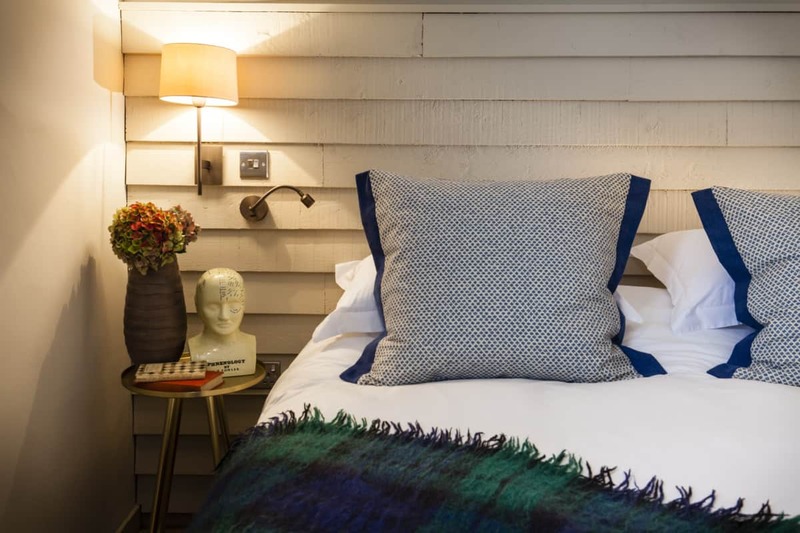 There are three recently renovated bedrooms with en-suite bedrooms. Prices include breakfast in the morning. One of the cozy bedrooms at The Barrow House. Exposed wood beams on the ceiling of a bedroom add a nice design touch. 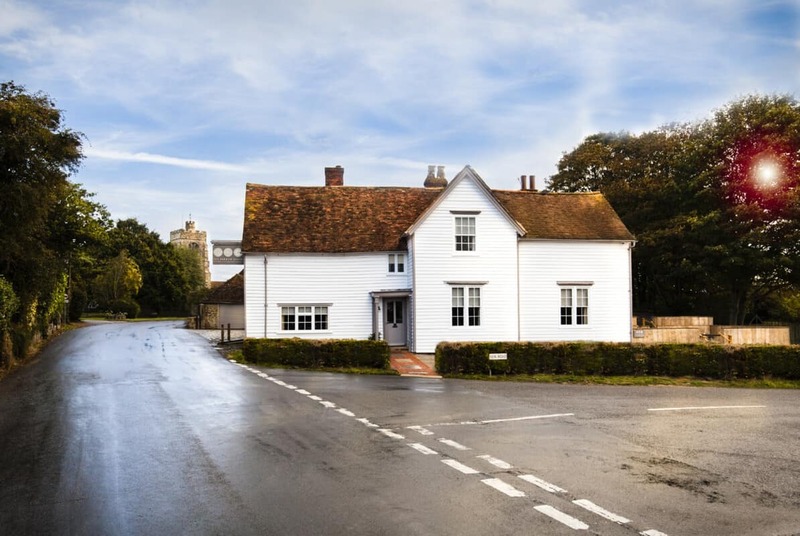 Although thoroughly modernised, the renovation maintained the historic charm of the pub. 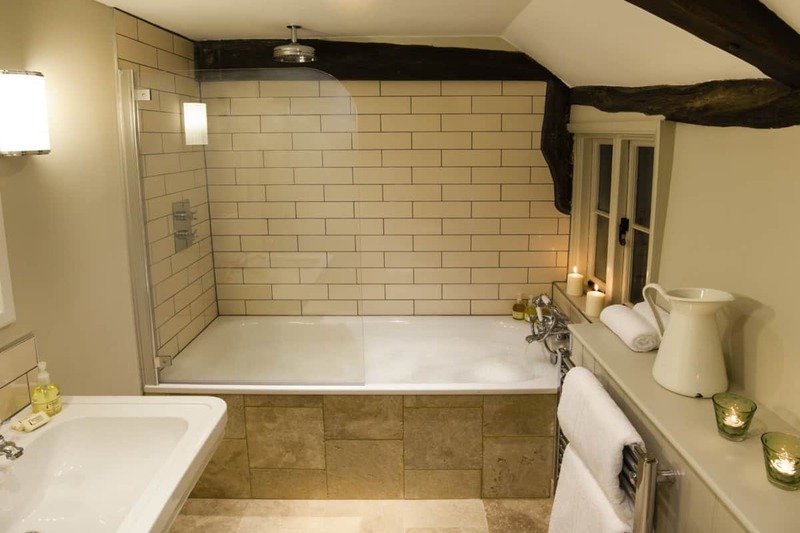 Nothing 16th century about this bathroom! London is an hour away by train. Alternatively, the area is served well by motorway as well. Like the look of this stylish pub near Leeds Castle in England? Spread the Word! Pin this to your Pinterest Boards for future reference! All photos except that of Leeds Castle are courtesy of The Barrow Inn. 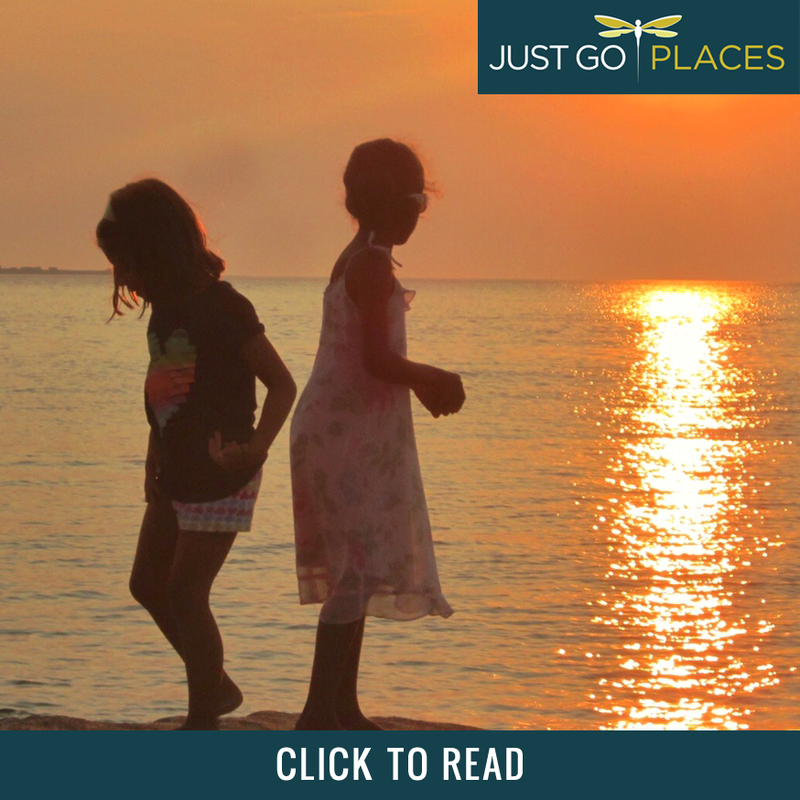 This site generates income via partnerships with carefully-curated travel and lifestyle brands and/or purchases made through More information may be found on our Disclosure Policy.